Follower, Camelot knight and Henson fan. Hello! I'm Birdon! I love Sesame street, Muppet show and even Fraggley rock! 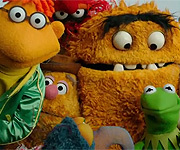 My favorite muppets are Miss piggy, Rowlf the dog, Gonzo, Robin the frog, Scooter, Lew zealand, Marvin suggs, Mokey, Boober, Wembly, Red, Elmo, etc. I is also a Camelot knight. I also likes Dinosaurs and Dog city. I've known the Muppets (And Sesame street.) since I was a Teeny weeny Baby. Also, I hadn't remember the Muppets until 2009 (I didn't know Sesame street were Muppets.) when my big sister had those Muppet christmas carol stickers. The first Muppet movies I seen was Muppets take Manhatten (My favorite song was "Im gonna always love you. Cutest song ever. 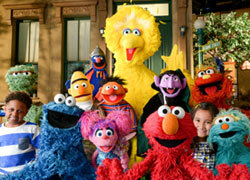 ), Follow that bird and Elmo in grouchland. I've also seen Muppets from space trailer but she hadn't watch it til now. Lots of interesting facts, right. Otto out! Peace!